Yes they have the micro chip attatched ! (same as the genuines). Hands best prices on ink. 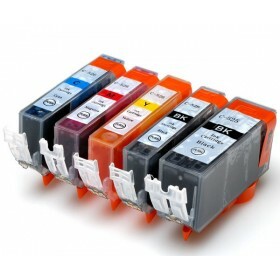 I use a Canon MG6150 and ink prints better than original cartridges. Also Dean is the most helpful genuine bloke. I have been using Ink Hub now for quite a few years. I am always extremely happy with the quality of the ink cartridges, great customer service, low prices & speed of delivery! 5 star company! Keep up the good work! Reasonable price, quality product that works well and delivered overnight. What more could you ask for.